(Natural News) When it comes to diseases, it is always better to prevent something rather than treat it once it’s already there. This is why researchers from Framingham State University and Hannam University were looking at the potential of Japanese ginger (Zingiber mioga) to prevent Type 2 diabetes from developing in patients diagnosed with prediabetes. In their study, which was published in BMC Complementary and Alternative Medicine, they made use of in vivo and in vitro studies to determine the antioxidant and anti-hyperglycemic activities of Japanese ginger. Prediabetes, a condition that occurs in one out of three adults, is characterized by elevated glucose levels. If left untreated, one’s glucose levels will continue to rise, causing prediabetes to progress into Type 2 diabetes. This form of diabetes, also referred to as non-insulin-dependent diabetes, occurs as a result of insulin resistance and insufficient insulin production. It can also be attributed to enzymatic hydrolysis of starch by alpha-amylase and glucose absorption due to alpha-glucosidase. There are synthetic drugs that can be used to inhibit these carbohydrate-hydrolyzing enzymes. However, they have been shown to have unwanted side effects, including abdominal distention, flatulence, and diarrhea. Because of this, researchers are continuously searching for natural treatments for elevated sugar levels that are not only safe but are also cost-effective. Japanese ginger is a common food item in many Asian countries. Past studies have shown that it is an effective antimicrobial agent and that its extracts can inhibit fat buildup that can cause obesity. Because of its ability to prevent weight gain, the researchers hypothesized that Japanese ginger also has compounds involved in the inhibition of carbohydrate-hydrolyzing enzymes. 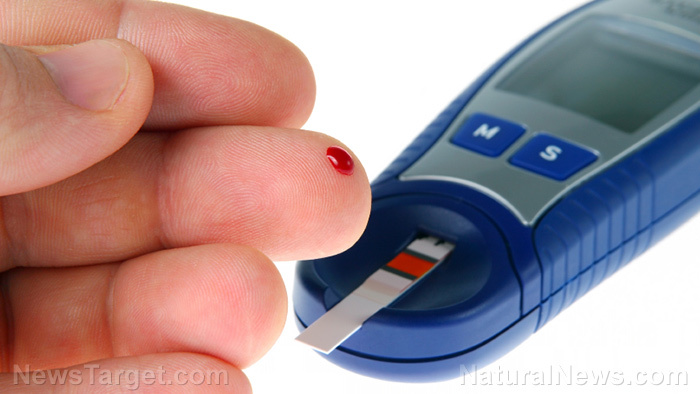 This means that it could potentially be used for preventing the progression of diabetes. To verify this hypothesis, the researchers conducted an in vitro study on Japanese ginger’s inhibitory activity against alpha-amylase and alpha-glucosidase. Inhibition against both enzymes was observed but it was noted to be stronger against alpha-glucosidase. The researchers also evaluated the antioxidant potential of Japanese ginger. This was done because elevated glucose level is associated with increased free radical production and so antioxidant activity could potentially delay diabetes. The researchers observed that Japanese ginger has potent antioxidant activity. In vivo studies were then conducted to back the results of the in vitro experiments. For this, the researchers used Sprague-Dawley rats and db/db mice that were fed high concentrations of sucrose to determine what treatment with Japanese ginger would do. A significant reduction in the animals’ glucose level was observed just 30 minutes after they were given sucrose. This can be attributed to the strong inhibition of alpha-glucosidase activity. Exercising – Studies have shown that diabetic patients that undergo regular exercise experience significant improvements in their blood sugar levels. There are many different workouts that one may try, including aerobics and resistance training. What’s more important is to do it consistently. Losing weight – Overweight people find it more difficult to regulate blood sugar levels. Losing five to 10 pounds will cause significant improvements in glucose levels. Following an appropriate diet – Carbohydrate-rich foods are known for increasing blood sugar levels. Try to avoid these foods and instead, eat more lean protein, fruits, and vegetables instead. Learn more about how Japanese ginger regulates blood sugar levels by visiting DiabetesCure.news today.